You don’t have to be a comic book geek to realise that super heroes are big business in the entertainment industry these days. From the multitude of franchise films churned out by big studios each month to the countless video game tie-ins and merchandise possibilities, it seems you can’t turn on your TV in 2016 without being inundated with images of ordinary folk with extraordinary powers. This fact certainly hasn’t been lost on the sharp minds at some of world’s leading gambling software providers either, with a noticeable trend developing in recent years that has seen many of the most popular comic book characters from your childhood getting the full franchised video slot makeover. Though once seen as the fantasy refuge of social misfits and gawky teenagers, there has been a marked shift in attitudes towards the super hero entertainment genre since the turn of the millennium, with more and more savvy companies now exploring ways to cash in on its mass appeal. In truth, it’s not hard to see why – shorn of the social stigma they once had – super hero films and games have grown increasingly popular among modern consumers. After all, these are stories that offer regular people the chance to escape the ennui of day-to-day existence and enjoy the fantastical; to experience a reality beyond the confines of rules and the society in which they inhabit. Naturally, this sense of escapism ties in perfectly with online gambling, where players chase the dream of striking it rich on one lucky spin of the reels and never having to worry about money again. In light of this, it was only a matter of time before somebody saw the potential in combing slots and super heroes, and companies are now climbing over one another to buy the rights to new franchises. Just as in the comic book world, super hero-themed slots can be divided into two main camps – Marvel and DC – and it is undoubtedly the former group that holds the largest market share. 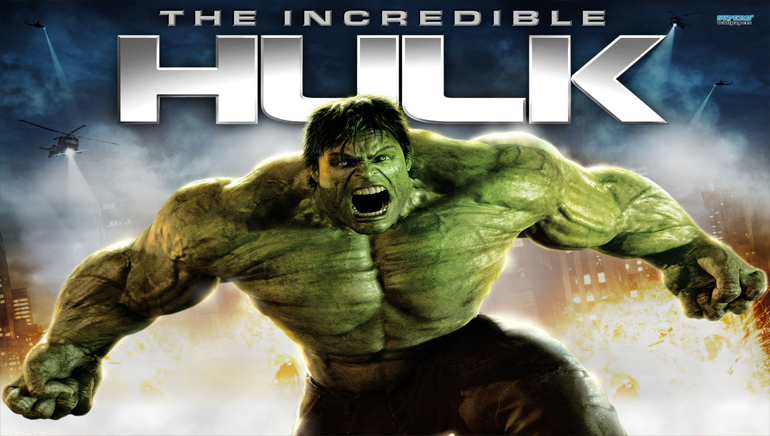 Powered exclusively by Playtech, there is a huge range of Marvel slots already on the market, with games like The Avengers and Fantastic Four featuring an ensemble cast of characters in one title. 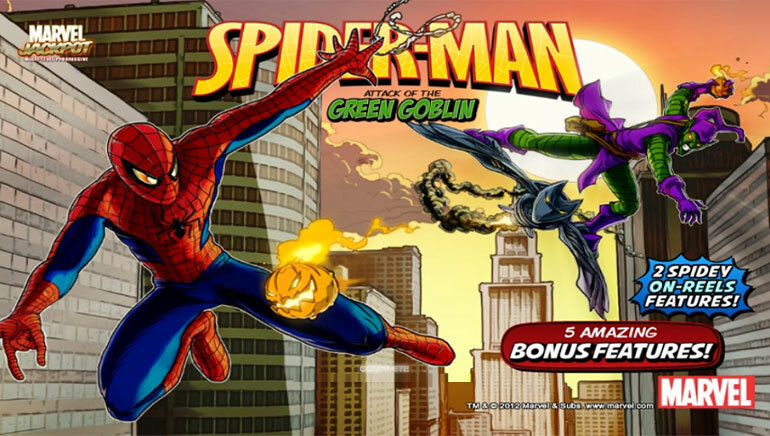 Indeed, though Playtech games featuring stand-alone characters like Spiderman do exist, it is a noticeable theme that Marvel-inspired slots favour teams of superheroes – and this probably has a lot to do with their bonus games. In both of the aforementioned titles, players are given a choice of unique features that represent the traits of each character, adding further depth to the gameplay. 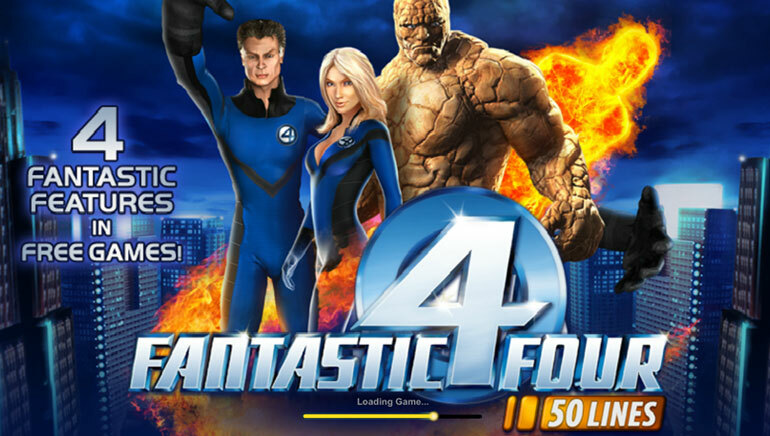 In the Fantastic Four, for example, the bonus feature issues players with a number of free spins that are affected by the super power of their chosen character. While selecting Mister Fantastic will add a wild symbol that stretches – much like Reed Richards himself – to fill the reels, opting for The Human Torch will see Johnny Storm burn through symbols to create more winning paylines for the player. 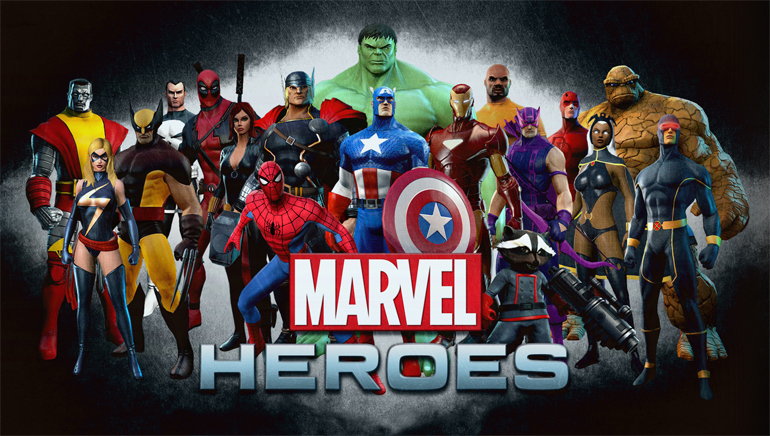 It is this attention to the source material that makes Marvel-franchised titles so enjoyable, as rather than merely churning out a standard slot that features the likenesses of comic book characters on its reels, Playtech make games that are as unique as the super heroes they are based on. Bolstered by authentic sounds, animations and – in the case of film tie-ins – actual video clips, this helps players forget they are playing a slot at all and immerses them in a far more complete gaming experience. DC slots, meanwhile, are a bit more diffuse in terms of the software providers that they are powered by. While the hugely popular Dark Knight Rises slot was developed by Microgaming, this was due to an agreement with Warner Brothers over the rights to the film rather than an exclusive DC deal, with Cryptologic – now owned by Amaya Gaming – insread offering titles like Superman and The Flash. This means that the DC slots are generally far less consistent in their look and feel than their Marvel counterparts, as different software providers have different interpretations of how the games should play out. What is consistent in DC titles, however, is the same eye for detail featured in Playtech slots, with all games remaining faithful to the individual quirks of their titular super heroes. Superman, for example, includes a bonus round that sees the iconic character fly through a meteor shower and dismantle a missile before returning to Earth, where players must help him select one of three lead-lined doors. Behind one is a room full of kryptonite that ends the feature, while hostages and Superman’s nemesis – Lex Luther – are hidden behind the other two to award instant payouts. The Dark Knight Rises, meanwhile, features all the dark and moody ambience of a Gotham City besieged by the villainous Bane and actually gives players the opportunity to see Batman and his enemy battle it out in the main bonus feature. 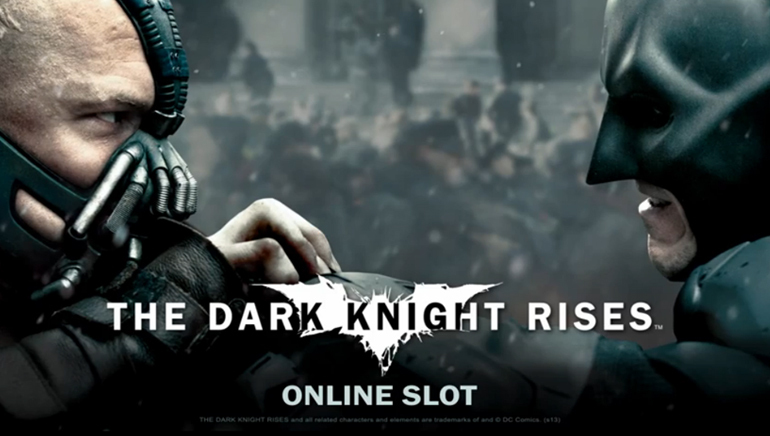 The second Batman slot produced by Microgaming, The Dark Knight Rises also features clips and quotes from the movie to capture players’ imagination. Again harking back to the idea of super hero slots offering a means of escapism, one thing players will notice about many of the Marvel and DC slots is that the most popular titles offer life-changing progressive jackpot payouts. With the Marvel Mystery Jackpot running across all franchised Playtech slots and The Dark Knight also offering a tiered progressive jackpot, one spin could win you millions. Though both prize payouts are activated differently, the thing they both have in common is that they seed from six-figure amounts and grow with every spin a player takes, no matter what site they’re playing on. This creates a gaming experience where players will know that – like any super hero who’s ever fallen into a vat of radioactive waste – in a few seconds their life could change forever. All in all, then, it is not hard to see why the super heroes of yesteryear have provided such a wealth of inspiration for canny slot developers. They combine the iconic fictional characters that we’ve all grown to love with imaginative features and life-changing payouts. As sure as there will be a new super hero movie released each month until the well of characters has been completely drained, you can bet your bottom dollar that more slots will follow as online gamblers chase a life less ordinary.